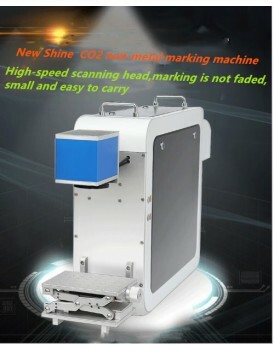 New Shine 2: 30W Fiber Laser Marking Machine The 3D laser marking machine is suitable for all kinds of metal and nonmetal materials laser marking on 3D curved surface. It’s widely used in mobile manufacture, cubic circuits, medical equipments, moulds, 3C electronics, auto parts, electronic communication, etc.Applicable Industries:Mobile Ph.. 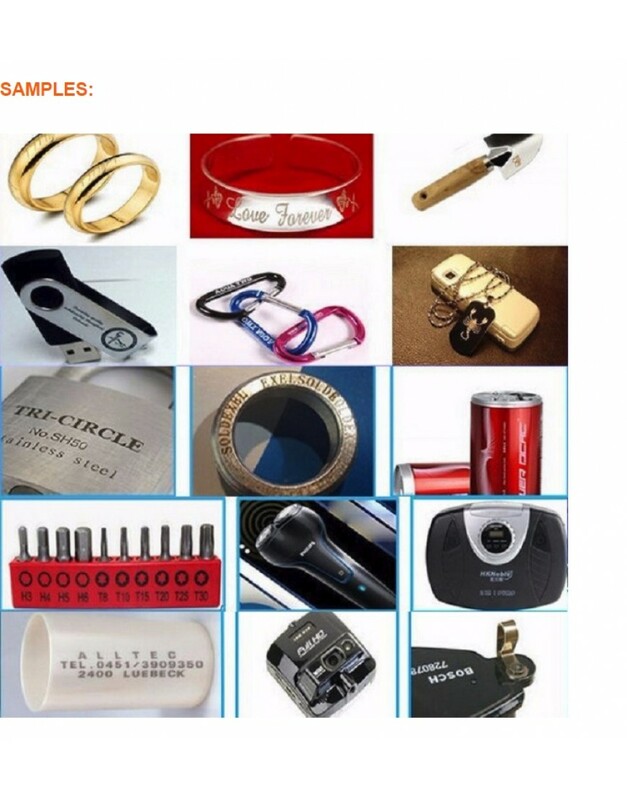 The 3D laser marking machine is suitable for all kinds of metal and nonmetal materials laser marking on 3D curved surface. It’s widely used in mobile manufacture, cubic circuits, medical equipments, moulds, 3C electronics, auto parts, electronic communication, etc. Mobile Phone keypad, plastic translucent keys, electronics components, integrated circuits (IC), electrical appliances, communications products, sanitary ware, tools, accessories, knives, eyeglasses and clocks, jewelry, auto parts, luggage buckle, cooking itensiles, stainless steel products and other industries. Electronic Components: Resistance, capacitance, chips, printed circuit boards, computer keyboard. Apparatus And Meter: Panel signs, precision equipment, etc. Instrument: Panel signs nameplates, precision equipment, etc. Hardware Tools: Knives, tools, measuring tool, cutting tool, etc. Automobile Parts: Pistons, piston rings, gears, shafts, bearings, clutch, lights, etc. Mechanical Parts : Bearings, gears, standard parts, motors, etc. Daily Necessities : Handicrafts, zipper, key holder, sanitary ware, etc. Jewelry: Rings Jewelry, gold, silver, etc. Food, drinking packing: Plastic packings, etc. Applicable Materials: Metal(including rare metals), engineering plastics, electroplating materials, coating material, plastic, rubber, epoxy resin, ceramic, plastic, ABS, PVC, PES, steel, copper and other materials. Original from edutech.new-shine.com., if you need to reprint, shoot us email to ask in detail . Certifications: ISO 9001:2008 certificates, CE certificates , FDA certificates...etc. 1. 1. 100,000 hours lifetime, compact design. 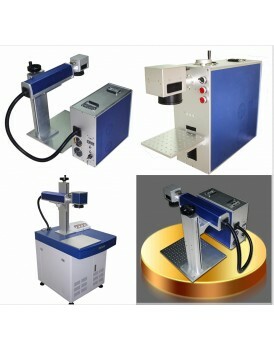 3.Mini metal laser engraver adopting imported original IPG fiber laser from Germany(Domestic optional). 4. 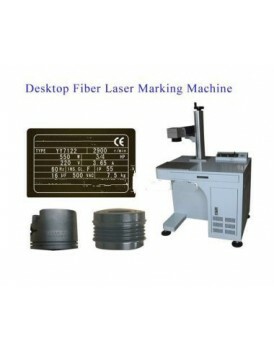 Laser beam quality of metal laser engraver is much better than traditional solid laser marking machine. 5. Imported galvanometer scanning system which makes the optical model nice and beam quality is excellent. Also without any problem even marking fast. 6. Humanized design, easy to operate. 7. Processing speed is 3 or 5 times faster than traditional marker. APPLICATIONS :1.Any metal and nonmetal materials,flexible paper label/industrial plastic/rubbers/pow..
Technical parameters:Model No.NS2 -10L ,Model name :10w Fiber Laser Marking MachineLaser Type:..
New Shine1: 30W Fiber Laser Marking Machine SeriesAPPLICATIONS :1.Any metal and nonmetal mater..
New Shine 1: 20w Fiber Laser Marking Machine The 3D laser marking machine is ..
50W Fiber Laser Marking Machine &nb..
New Shine2 : 20w Fiber Laser Marking Machine Series N..
New Shine2: 50W Fiber Laser Marking Machine The..
100W Fiber Laser Marking Machine &n..
New Shine CO2 non-metal marking machine 30w , 40w , 50w , 70w Product &nb..